Sri Lankan shares hit a six-week high on Friday, heading for a seventh straight session of gains, on hopes of political stability after the Aug. 17 parliamentary elections. 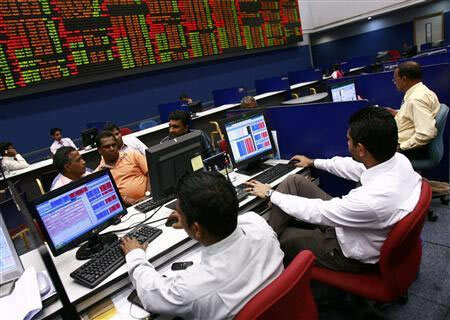 At 0536 GMT, the main stock index was up 0.35 percent at 7,149.10, its highest level since June 5. “People are taking positions as the elections get closer and with the uncertainty getting out of the way,” a stockbroker said on condition of anonymity. On Tuesday, President Maithripala Sirisena criticised a comeback bid by Mahinda Rajapaksa and his own allies for backing the latter to become prime minister. Analysts see Sirisena’s statement as a step towards strengthening his grip and likely to help the ruling coalition win at the polls. The ruling United National Party (UNP) has formed a coalition with some other parties to contest the election. Political analysts say the alliance could increase the ruling party’s chances of winning. The day’s turnover stood 1.06 billion rupees ($7.92 million) at 0536 GMT, in line with this year’s daily average of 1.05 billion rupees. The Sri Lankan rupee was steady in dull trade as a state-owned bank maintained its dollar selling rate at 133.80 amid demand for the greenback from importers despite inward remittances due to Eid, dealers said. “It’s a dull day. Not much of activity and the state bank is selling at 133.80,” a currency dealer said.